Deep in the forests of Norway, there’s an abandoned cabin. Except someone is inside. Quick, come inside too – there’s something in the woods and it’s coming for you. Except not really. The real danger is from within. Or is that without? All good fairy tales have a message about growing up: there are benefits as well as costs to puberty; death is real; there’s no such thing as a free lunch; some strangers can be seriously dodgy. It Takes You Away says death takes the dead away, but grief can take the living away – to an attic room, a garden shed, even the office. Any place where you can escape into a fantasy world where the loved one is still alive, the bed is made, the house tidy, and the washing done. Merely being responsible for someone back in the real world is not enough to drag you back; you have to want to, and it’s hard. It hurts. It Takes You Away is a much, much better fairy tale than In the Forest of the Night. So far, so hoopy (did anyone else enjoy all those Hitchhikers’ Guide references?) but is it good Doctor Who? The monster, yet again, was not evil. Unlike Omega in his antimatter universe, it wasn’t out for revenge. Unlike the Vogons, it didn’t enjoy destruction; deep down, it just really wanted to be loved. Once or twice a season is okay, but we need some epic good and evil battles – we need actual peril. As has so often been remarked in the comments, the threat was told not shown. Apart from the piranha moths crawling out of an eye-socket; nice. But they and the Buffy-reject demon seemed thrown in as plot device fodder. That white-out put me in mind of The Mind Robber, another alternative universe inhabited by characters created from the travellers’ memories. But there the threat was shown not told – Jamie and Zoë trapped in the pages of a giant book, the writer trapped in the machine. Even the creepy children mobbing Pat. It Takes You Away’s whiteout just felt like a dreamscape. The Doctor. Okay, the hint of alien-ness was good; she didn’t just sacrifice herself to save the humans, she was interested in this sentient universe; she’d have been as happy befriending it as a human. But she still feels too domestic and tame for my liking. And I’m beginning to really loathe the magic wand. The Doctor is not a superbeing with magic powers – she’s a being whose main power is knowledge and experience gained over many lifetimes, the confidence and wisdom gained thereby. She should be not only the oldest person in the room, but the most dangerous. And she’s not. The companions, apart from Graham, are still a bit wooden. They stand around waiting until it’s their turn for a bit of dialogue or action. There IS improvement, but it’s slow. The guests: Hanne was an excellent character, not a superhero with special gifts from her disability. Eric was what the plot required; wet and lost and (like Yaz) you wanted to hit him. But as Hanne said, he was ill, less than his proper self. He knew it and didn’t just ‘snap out of it’ back to his real self in one magic moment. So, the writing was good, the tension of escalating mild peril, the separation of the companions so they had something to do, some character development. But I’m not feeling the love for it that some of my esteemed fellow DWCers feel. I still don’t care about them, not even Ryan inevitably finally calling Graham granddad. I found myself playing ‘if the Doctor kissed a frog, who might it turn into?’ We’re not out of the woods yet. I have loved the trailers at the end of the episodes this year. They have been very short, showing you the bare minimum of the next story, never giving anything away. In the case of the trailer for It Takes You Away, it only showed you half the story. We begin in suspenseful, freighting Nordic supernatural thriller and end up with Douglas Adams-like crazy alternate dimension. There’s even a funny little alien and some heart-breaking emotional torture along the way. That’s a lot of ideas crammed into a single plot. 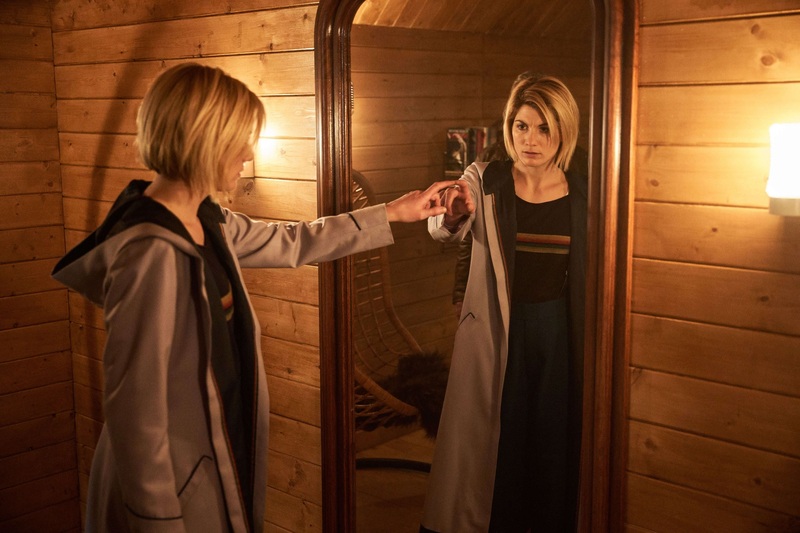 Part of me wishes that there had been more focus on the mirror universe copies of the characters loved ones; you could have spent an entire episode there, like in The Girl Who Waited. The small supporting cast meant that our TARDIS team got the spotlight. Ryan’s interactions with Hanne and Graham’s reluctance to lose Grace again were strong character moments. They both lead to Ryan finally calling Graham Grandad. Yaz still didn’t have all that much to do, despite obviously being the Doctor’s favourite. She did a bit of detective work wandering round the abandoned house and she immediately knew how to deal with a freighted little girl. Her exchange with Hanne was very sweet. Jodie really did feel like the Doctor in this story. She’s in charge, but not in a melodramatic way that some of the previous Doctor were. She can have a lot in common with the Fifth Doctor sometimes. I’m still not a huge fan of Jodie’s Matt Smith-like mannerisms; there are perhaps one too many rambling asides whilst trying to explain something. The Doctor blew a kiss at a sentient reality that was shaped like frog on a chair. Sometimes, the show does live up to its “Anything, Anywhere“ premise. Season 11, episode nine. Okay. Here we go. In a supremely well written and highly intelligent run of episodes, I have to say I think Whitaker is absolutely superb. In Whitaker, we have a subtle and believable portrayal of someone with a brilliant scientific mind: someone with a time machine (kudos to the designer there, by the way) who uses it to further their own ends, to which they’re totally dedicated. A darkly charismatic performance, Whitaker dominates every scene – and that’s really something, given the very high quality of the supporting cast. Shame about the monsters, but you can’t have everything. An excellent piece of casting, of course. But then Peter Miles is always good. Nice to see Martin Jarvis back, too; and Pertwee, Lis, and the UNIT crew are as wonderful as ever. Malcolm Hulke can’t half write. 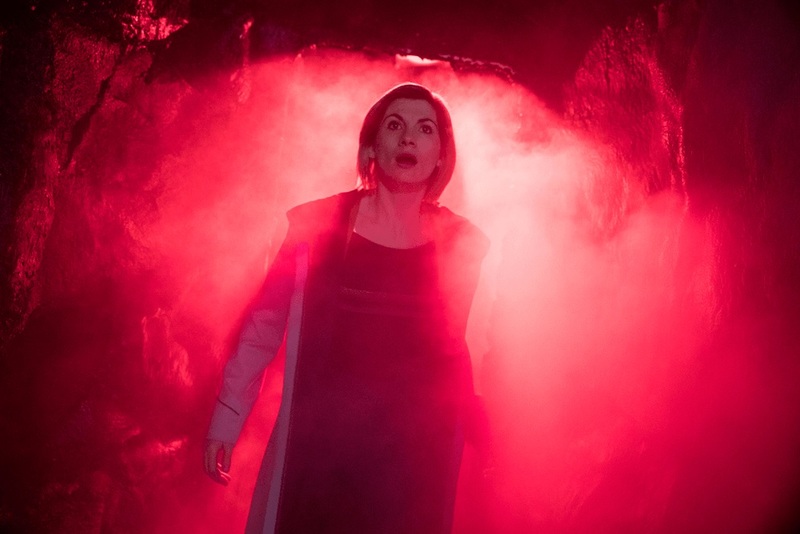 Oh sorry; you mean Series 11, episode nine that was on last Sunday? Oh, that. It was all over the place. I quite liked Kevin Eldon, but I’m going to park the “I’ve got seven nans, me” nonsense in the box where I keep the revelation that the Doctor is half-human. 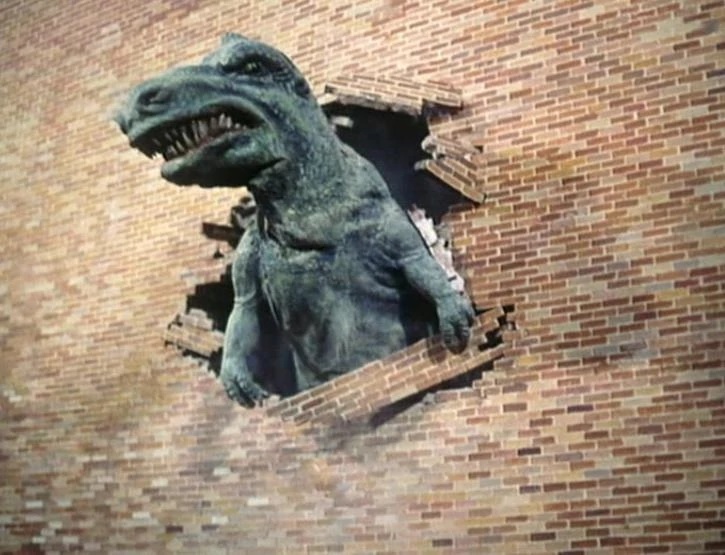 And I’d sooner have a rubber tyrannosaurus than a magic talking frog on a white chair. 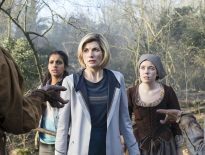 Quite fun to compare the two Series 11, episodes nines, though. It shows you what Doctor Who was and still can be, and what it has become. In a season where the stories have been noticeably more straightforward than in recent years, It Takes You Away will probably go down as the episode that has the most potential for the kind of in-depth analysis after the end credits have rolled that some fans have been missing. 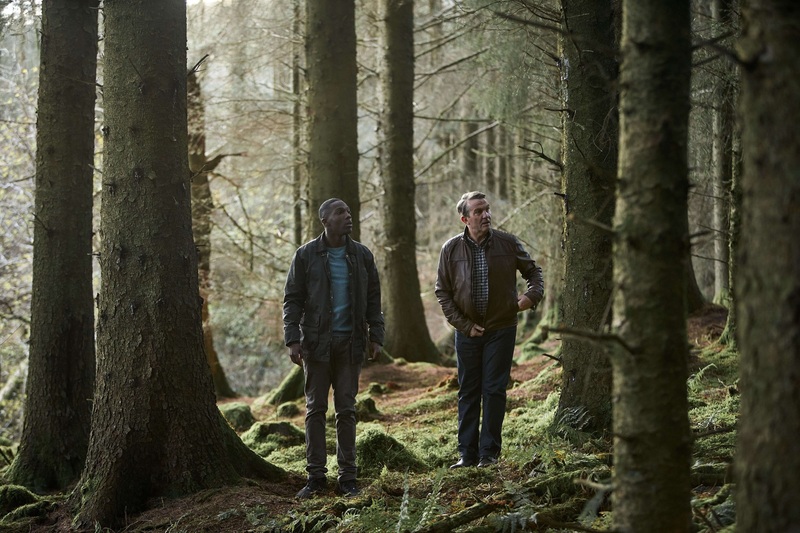 An intriguing set-up led us to believe that we were in for a Doctor Who take on the cabin-in-the-woods genre, one with a Scandinavian flavour and the horror elements toned down to fit an early evening slot. But there were a couple of substantial twists to keep us on our toes lest we were starting to think we knew where this was heading; first, a journey to the underworld and then, just when we thought we had the measure of things, a mirror world where haircuts are reversed and the dead come back to life. It all made for an unsettling story and, for my money, one to be commended for trying something different, even if some elements didn’t quite hit home. 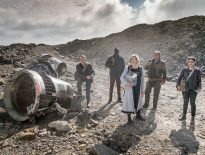 The Doctor’s lengthy explanation of the Solitract seemed to me an illustration of why Doctor Who doesn’t do hard sci-fi concepts more often; Jodie Whittaker gamely did her level best to bring the scene to life, but the story ground to a halt around her as she delivered the necessary exposition. The story arc Ryan and Hanne shared was convincing and touchingly portrayed, though I did feel a little uncomfortable when Ryan grabbed hold of her, even if his motives were protective. And full marks to Ryan for solving the mystery of the monster, although I can’t have been the only one to feel it was ironic that, in a season where many have bemoaned the lack of alien foes, this particular one turned out to be nothing more than a recording. My first reaction to It Takes You Away was “rats!”, as my pet theory that Ryan would call Graham “Grandad” on his deathbed flew out the window at the end of the episode. It’s something I still stand by though, that the companion (okay, friend) roster is one too many and we should lose a TARDIS traveller – purely in terms of there rarely being enough for all three to do. As for story itself, I found it to be an interesting mystery which revealed itself in surprising directions, deepening layer upon layer. The arrival at the house and introduction to Hanne was engaging, with Yaz showing some of her police training again, while Ryan seemed worryingly inept at being a human being. Through the portal and Kevin Eldon gave his best turn channelling Dan Starkey’s goblin from Wizards vs Aliens, though I’m not entirely sure what Ribbons’ agenda was other than as a mid-episode obstacle to scare the kids, and for that he was entertaining enough. 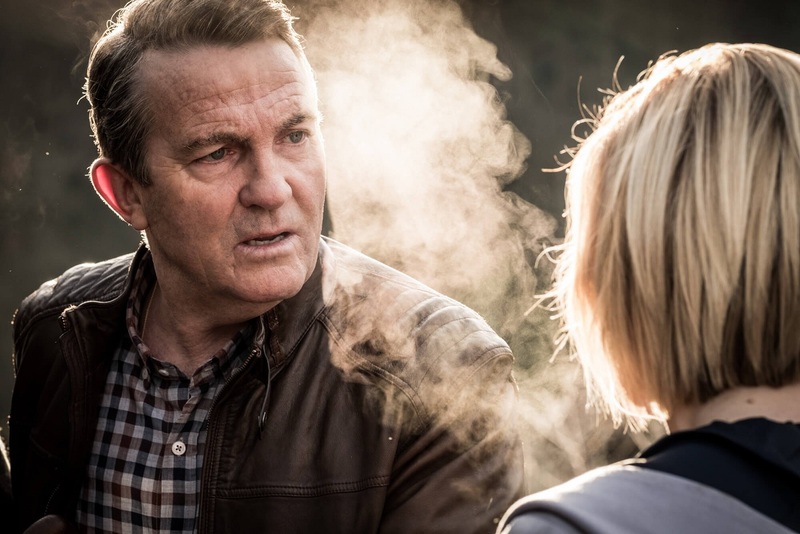 Out into the mirror world and naturally, as we have come to expect, Bradley Walsh was suburb in those heartbreaking scenes with Sharon D Clarke’s Grace, while the reversed angles on the camera work helped sell a sense of dislocation. 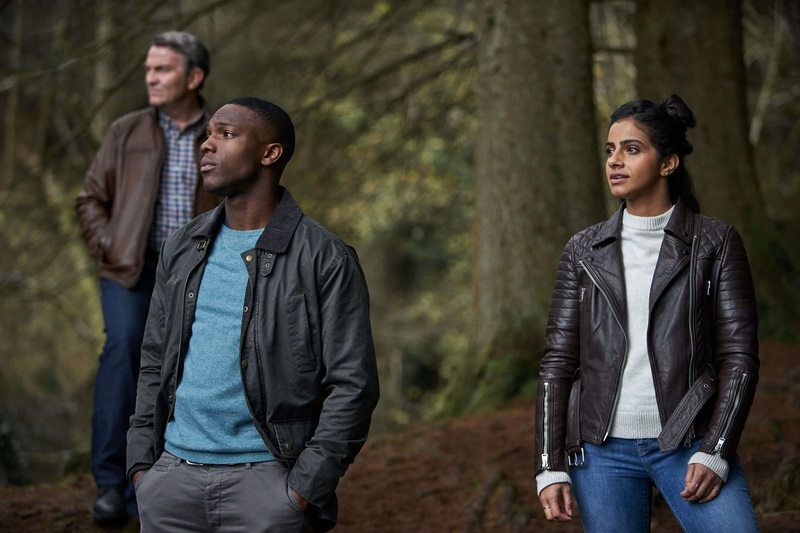 The Doctor’s decision to leave Ryan behind, in charge of Hanne, made sense in plotting terms if nothing else, but it left Yaz with little to do. Why was there no one for her? A missed chance for a short reprise for young Umbreen perhaps? I understand that there are a multitiude of old faces that might have tempted the Doctor to remain, but as she couldn’t for reasons of universal stability, it’s a wonder we didn’t meet meet someone… Granny Five, for example, who was name checked earlier – not that I have an issue with the Grace Frog, as it was just the right level of utterly bonkers. All in all, with Hanne’s worrying parental issues aside, I would definitely like to see Ed Hime on the list of writers for Series 12 – and in fact that is true of all new writers this year. Doctor Who meets the Nexus (from Star Trek Generations) with a hint of Warrior’s Gate and a touch of the ‘white limbo’ (when Harry Potter dies) and finally a morsel of The Three Doctors! It was the nearest storyline to real Who yet this series. 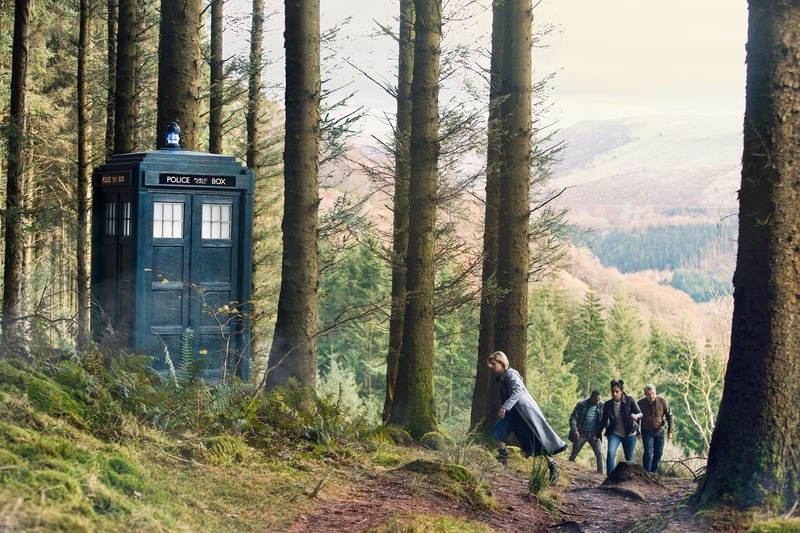 The start was a little disappointing – why build a new TARDIS interior that we rarely see? Why be in Norway when it obviously was not – and it was irrelevant to the plot anyway? But then it gets good. The lonely, scared child with the ‘beast’ outside was a bit chilling and directed and scored well. The mirror portal was well used and the flesh-eating Ribbons and Flesh-moths were gruesome and well enacted. Then we hit the brick wall of each episode this series: nothing for most of the companions to do. So, first we split in one set of pairs, say two lines, then swap into one being put aside until he has another line to say, and, with no role in the ‘main Doctor to alien scene’, they are all zapped into the Antizone. Moving on – the whole Solitract Plane concept was really good and it not being reality was well scripted – the concept of an ‘entity’ wanting to be in our world but unable to was very much like Omega and the setting of the frog talking in a white background was a little Harry Potter-ish but works. The final ending was a little moving too. Final Verdict – It Takes You Away – A little bit of light as we near the end of the tunnel. Certainly, the most Who story so far. Righto, folks. To the tune of ‘We All Stand Together‘, by the inimitable Paul McCartney and the Frog Chorus. But what’s the point when the story is sh*te? A pretty mixed response; if I were being glib, I’d say mirror opposite opinions, but I’m not so I won’t. Next time: The Battle of the Longest Planet Name Ever.